For the fourth year running, Fussypants has created her signature Warcraft inspired Easter eggs. 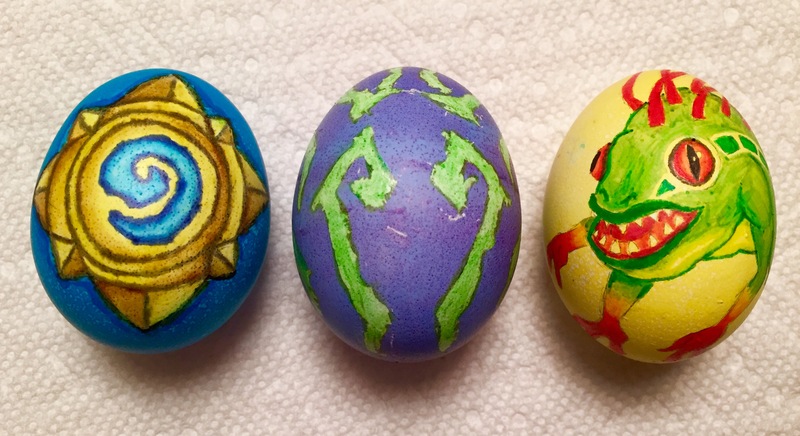 This year featured the Demon Hunter Egg (with fel tattoos to match), the Hearthstone Egg, and the king of all eggs so far, the Murloc Egg. Despite the fact that Pants will probably peel and eat these in less than 5 minutes, she spent the better part of the day working on them, devoting 1-3 hours per egg. You are looking at real, egg-shaped, works of art! 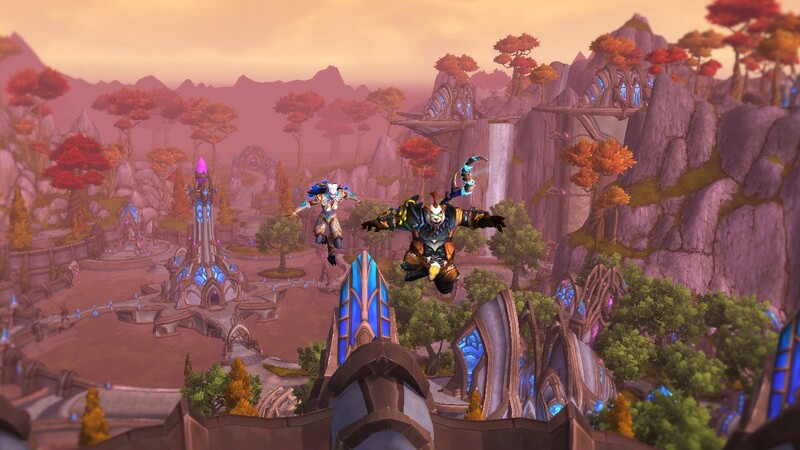 Whether you celebrate the out of game holiday with family, hang out in game with friends, or just relax by yourself, we here at Growing up in Azeroth hope you have a peaceful and enjoyable Sunday! Today I learned a new trick. You would think, that as an 8 year veteran of the game, I would have learned all there is to learn about this game, know it inside and out, and have discovered all it’s secrets. You would be thinking incorrectly. In fact, I only discovered the true use of alt-tab a few months ago (true story, the raid thought it was hilarious). And today, I’ve learned yet another new trick. So you’ve reached the dreaded level 47. You know Blackrock Depths will soon be looming in your dungeon queues. Over and over, you’ll be forced to run that long and tedious instance. But what if I told you… there was another option? I call it the “Detention Block Rush”. Detention Block Rush: How does it work? In order to use this trick, you must queue up only for the instance Blackrock Depths: Detention Block. It should become available to queue at level 47 and phases out at level 57. I guess you can queue for random and only use this trick when the dungeon happens to pop, but trust me, it’s a lot more XP a lot quicker if you solely queue up for this dungeon. Once inside the instance, you and your group need to take the Dark Iron Mole Machine directly to your right. Select the option “Just past the Grim Guzzler”. Then, jump down over the railing to the walkway leading to the fire elemental boss, Lord Incendius. Go ahead and take down the elemental, do a complete 180, and start working your way back through that door way and the adds that lie beyond. Take down a couple of packs of mobs and you will find yourself fighting Fineous Darkvire. If you notice, Darkvire is the last boss in this wing of the dungeon. Once you kill him, you get a nice chunk of XP and the instance is over. And this took you, what, 5 minutes? That’s right. You’ve just skipped 20+ minutes of trash and unnecessary bosses. If you get into a particularly strong group, your tank can chain pull everything from Lord Incendius all the way up to Fineous. It’ll take a good amount of tank and healer cooldowns and some coordination but it’s perfectly doable. If your tank pulls quickly, this method can reduce the run to only 2 minutes. If you get an even stronger group, there is a third option that you can take. Once you take the mole machine down near the Grim Guzzler, have the tank target one of the adds in the pack that is across the divide. Throw any sort of ability at them (Taunt, Faerie Fire, some other ranged pull) as you jump over the edge. And then brace for impact! The mobs you have targeted will run all the way down, dragging Fineous and a large pack of mobs with them. Grab Lord Incendius real fast, get to the doorway, and start AoEing! Once the dust has settled, the two bosses will both be down and the entire instance will be complete. This option requires a very strong tank and heals because the damage from all those mobs can be very intense. But again, if your healer and tank coordinate you will have no problems handling all the mobs. This method further reduces the run to a whopping 1 minute. One minute for two boss kills and a large chunk of XP for completing the wing? I’d take it! So there you have it! Pants’ super fast leveling trick! With good groups and fast queues, you can speed from level 47 to level 57 in under an hour. Happy rushing! I think it could be pretty easily argued that some of the worst behavior in WoW shows it’s ugly face in leveling dungeons. You have the dps who pull rooms before the tank, the tank that constantly LoSs the healer and the healer who hurls abuse at the rest of the group. And a million other scenarios. Sure, there are good apples in the barrel but there’s no denying the toxicity of some groups. 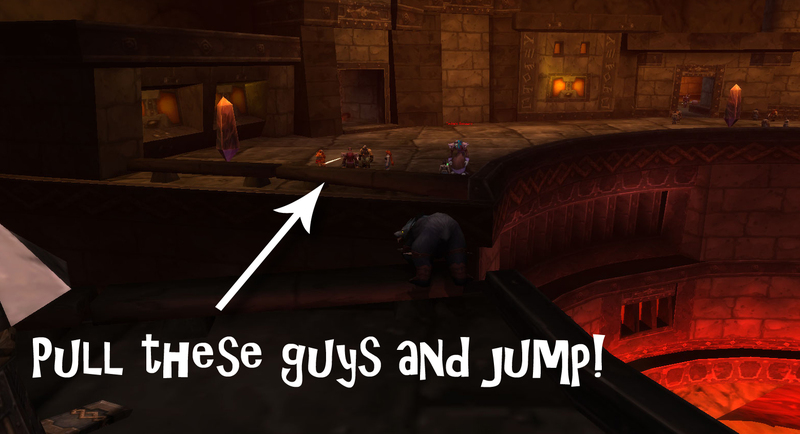 I’ve been in heroic Hellfire Citadel pugs with less blaming than leveling dungeon groups. Like I’ve touched on before, I’m a pretty fast tank. I’ll run a dungeon in 5 minutes if the healer can keep up. But that’s the catch- I go as fast as the healer is capable. If the healer can’t heal me through all of that damage, I slow down. Unfortunately, when I slow down for the healer is about when the dps start pulling even faster. You pull it, you tank it. If you’re going to run into a room when I as the tank am waaaaay far back, you can go ahead and take all those mobs down yourself. Typically, I whisper the healer to not heal the offending dps, and I move past to pick up a different group. If the dps lives, good for them, hopefully they won’t do it again. If they don’t make it, too bad so sad, I pick up the adds and continue on. I understand wanting to go fast but I’m not going to pull any faster than what the healer can manage. I don’t go slow. There’s really no reason to pull for me, I’ve got plenty of ranged pull mechanics. So the other day, I was chain running a bunch of leveling dungeons with a good friend from my guild, Vall. I was tanking on my druid and Vall was healing on a mistweaver monk. Vall’s a pretty good healer but he and I both know that mistweaver isn’t very strong while leveling. Thus, I couldn’t pull everything at once- I needed to be more controlled with my pulls to make sure I wasn’t taking too much damage. We zoned on into Dire Maul West and I right away began to pull trash. The group was pretty silent but that was nothing out of the ordinary. We worked our way through the dungeon, eventually getting to room with all the spirits in it. At that point, one of the dps, a mage, decided I wasn’t pulling fast enough for his tastes. He blinked ahead and proceeded to body pull a large group of mobs. I gave him the benefit of the doubt and picked up the mobs as Vall healed him up to full again. But then the mage did it again. This time, I was a lot less merciful. I sent Vall a quick tell to not heal the mage and pulled a different pack of mobs. Being a mage, the guy went down very quickly. I picked up those adds and the rest of us quickly burned them down. Vall rezzed the mage, and we continued on. Chat was still silent at this point. We got upstairs and the mage, I guess he was just thick-skulled or something, proceeds to pull again. He managed to survive this group but Vall stopped healing him entirely. We finished up downstairs and jumped down to the tree boss. Then after killing him, we moved to the most interesting part of the run. You know that big circular room in Dire Maul with the elementals all around and the demon boss in the middle protected by a blue energy wall? As a tank, its one of my least favorite rooms. The adds are spread out and they run from all directions so it’s a touch difficult to make sure I’ve got all of them gathered. It’s one of those rooms where the group is best to stick together so we can finish it all as quickly as possible. The mage was having none of that. Again, he blinks forward and pulls a whole big pack of storm elementals. They smash his face in. The rest of the group and I continue on and the mage starts his long run back. But for the first time, he finally speaks up in chat. “Faster this way” he explains, despite the fact that we were heading the same direction he was. Vall responsed “Not when you die”. And he’s got a point. At this point, the mage totally loses it. I’ll just let you all read the chat as it happened, but let me tell you, it was wild. This, my friends, is how you out-troll a troll. I’ve seen trolls handled before, but never have I seen it done so masterfully. I was DYING at the end of the dungeon. I haven’t laughed so hard in a very long time. Mad, mad props to Vall. That was beautiful. Once the mage left the instance, the rest of the dps piped up and agreed that the mage had been way out of line. We were all rather shocked by how angry he managed to make himself. But Vall’s responses had turned a potentially stressful situation into one that was humorous for all (except the mage). I guess I was a little unfair to the mage in that I didn’t warn him in chat about pulling before me. I (wrongly) assumed that it was a well known rule that the tanks set the pace and pull the mobs. But really, given his explosion of vitriol at Vall’s calm responses, I doubt that it would have made a difference. The lesson I learned that day was two-fold. Firstly, trolls can’t handle people telling them they are right. They just can’t. Something inside of them breaks. The next time I encounter an abusive player like that, I think I’m going to try the Vall method. Tell them they are right. Agree with them. And watch them blow up in frustration and confusion. The other lesson was that I should never get on Vall’s bad side. As you might have noticed, there’s a new tab up top on the toolbar. And if you’ve done any sort of poking around up there, you’ll probably notice that that tab has a lot of info regarding Blizzcon Art Badges. And at this point, you are probably connecting the dots, about to ask the next logical question. To which my answer is Yes, I will be making Blizzcon Art Badges for the upcoming Blizzcon. All the information about me as an artist, the details about the badges, and the overview of the order process are all explained in long form up top for you to read, so I will be only lightly touching on that here. What I really want to get at is why I decided to create art. I have mentioned this a few times offhandedly on the blog but I actually draw and paint all the time. I’ve filled dozens of sketch books, doodled on hundreds of page margins, and painted on more than just a few canvases. Art is one of those things that I do almost every day, I just have never been very vocal about it. For a long while, I was very self-conscious about what I created. Writing, writing was easy. I could get my idea across in a number of different ways to a number of different audiences. But art was always harder. That picture in my head never quite translated onto paper. And for years, I told myself that was because I wasn’t good enough, wasn’t talented enough, wasn’t trained enough. That is, until I started looking and really listening to what other artists both in my real life environment and in the Warcraft community were saying. People like Faebelina and Frenone passionately telling everyone that yes, your art is beautiful and uniquely yours. I began posting more and more art out for the world to see. I joined a group a chat group of artists and began getting critiques and advice. I began to see that my struggles with capturing an idea on a page weren’t mine alone. They were something that was shared by almost all artists. I wasn’t terribly behind or bad, I was just like everyone else! So when Frenone put out the call for artists to join Badge Babes, I had a decision to make. I could keep creating art like I was, drawing mainly for myself and not really stretching my wings much farther beyond that. Or I could give it a shot. Shoot for the moon. See where I land. And see how I grow. And that leads us to where I am now. Am I the most talented artist? Of course not! But I’m ready to grow. I’m ready to go beyond just ‘Oh yeah, I mean I kinda like to draw sometimes’ to ‘I am an artist’. I’m ready to develop a style, push the envelope, and change it all again. I’m ready to see where this passion of mine takes me. I’m ready to even fail, and then to pick myself up and keep going. Thank you for your continued readership and interest in all that I do! Many moons ago, I lucked into a group and got my For The Alliance achievement. However, this was back in the days before the <oTQ> guild, before CRZ was a thing, before even Vol’jin sat on the throne in Orgrimmar. Since it happened so long ago, I figured now was the perfect time for a redux! For two Fridays in a row, I have had the honor of leading two complete attacks on the Horde capital cities. 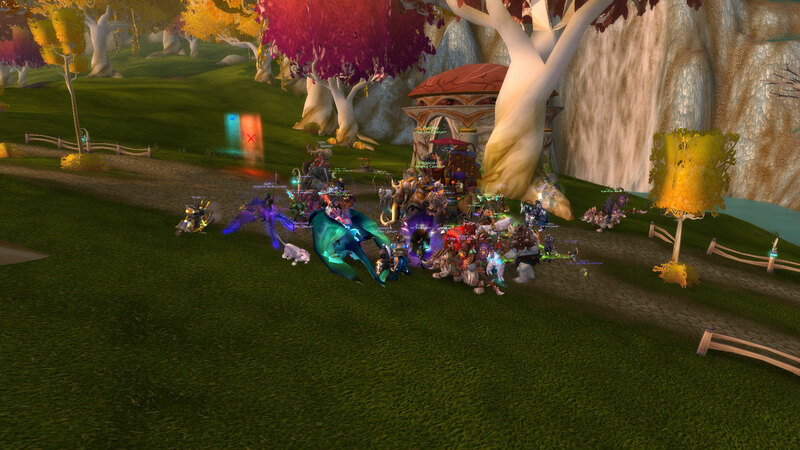 The nights started out with me assembling all the guildies who wanted to come. While everyone got situated and started heading to the meeting ground, I recruited more folks from the server’s trade chat to finish filling up the group. Both nights, Orgrimmar was our first stop. The grand fortress cities of the orcs was difficult for two reasons. The first and most obvious reason was that it was the most populated out of all the horde cities. Speed was our only ally- we had to fly in and fly out as quick as we could. Luckily, the horde-side of my server is rather empty so we never faced too much resistance. Most of the brave defenders of Vol’jin died as soon as they flagged themselves for PvP, so strong was the power of our AoEs. The other tricky part about Orgrimmar is that it is the only horde capital city where CRZ is not enabled. This meant we were limited to the people we could recruit from our own realm. But really, with a guild of 1000+, we ended up being fine. 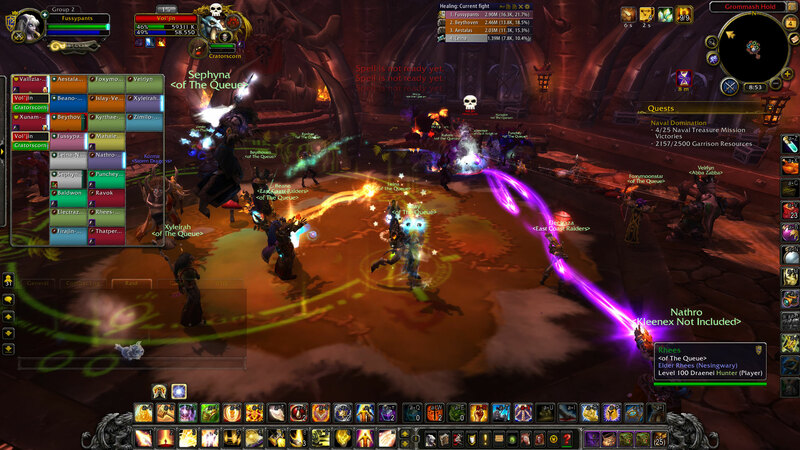 Each night we attacked the horde city with a force of about 30 folks and were able to easily crush the Warchief. Back to the story! As soon as I finished up gathering a force, we all met atop a secluded mountain near the great city. I briefed the plan to them: Fly as one, head straight to the throne room, and start pew-pewing on Vol’jin as soon as you could. Once the troll was down, do not engage the enemy in a pitched battle- get out of there as quickly as possible. With a great roar, we were off! The flight into Orgrimmar was probably one of the smoothest of all the cities. We flew in as one, entered the throne, and began our attack. Vol’jin spammed his annoying mass hex ability but before long, the Warchief was dead! Our exit strategy differed on the two nights; the first night we took a portal away and the second night we jumped on mounts and flew out. Either way, we were in and out quickly- we were professionals! After Orgrimmar, I was able to fill up the group the rest of the way via the group finder and our force almost doubled in size. We would meet up in a pre-determined spot, explain the battle plan, and attack! It did get a little hectic here and there, as most 40 player groups do, but we stuck together for the most part and were able to down all the horde leaders both nights! One of the highlights of the night though was definitely the antics of Yotaan. You see, Yotaan is a horde player at heart. He might be alliance right now, but his allegiance is still with the red and black. I purposefully did not inform him of my plans to attack the horde cities but I could not hide this secret for very long. The first night he tried to distract me from my computer screen (to the amusement of my guild listening in on mumble) and the second night he stepped it up a notch and logged in game. Unfortunately for Yotaan, the horde-side is pretty dead. Yotaan bravely attempted to raise a force to repel our attack but a grand total of zero people actually came to his aid. When his fellow hordies failed him, Yotaan has no choice but to take matters into his own hands. He followed us to each capital city, attempting to pick off people in the group (mainly me) with cries of “For the Horde!”. Again unfortunately for him, he never lasted very long. It’s the thought that counts, right? 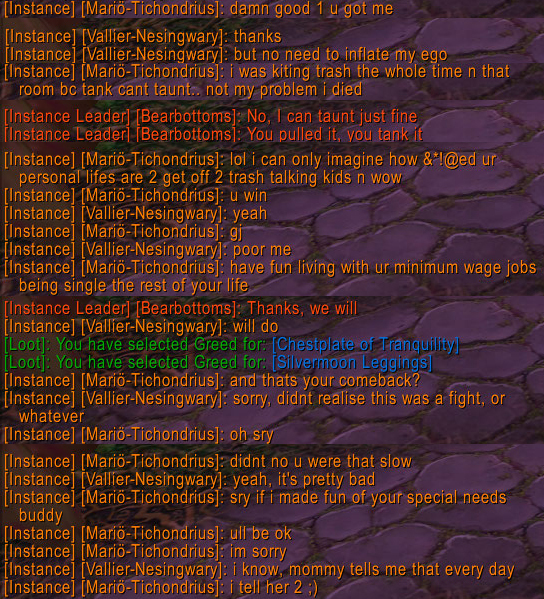 The other nice thing about the horde attacks was the praise and positivity I got from the non-guildie people on my realm. I had wanted to run this to get the achievement for the folks in my guild- I hadn’t even thought of what the other folks on my realm would think. Needless to say, I was shocked and flattered when I got whispers from others on the realm thanking me for leading and even asking me to join the guild. That was both unexpected and very heartening. Server community isn’t dead at all! But most importantly, we were victorious! Over the course of two Fridays worth of runs, we got somewhere from twenty to forty people their shiny achievement and bear mount to match. It was the perfect expansion lull adventure and I had so much fun taking part in it. WoW has a lot of mounts in game already. We have flying horses, magical roosters, swimming turtles, and just about everything in between. However, there are a few rather important mounts that the game is lacking! Fussypants and Yotaan sit down and discuss just what we are missing mount-wise. Yotaan: I think there should be shaman mount. It should be air elemental mount, like the wind or something. Fussypants: Lol, I just got this fantastic image of your shaman doubled over, propelling through the air by the force of his own farts. It would be like the worgen running wild form but better! Yotaan: That is NOT what I was thinking! Fussypants: Well then how would you image a wind elemental mount would work? Yotaan: I was thinking more along the lines of riding a gust of wind. Fussypants: Meh, we already have that with the Red Riding Cloud thing. I have a brilliant idea! Ok, so imagine this just totally decked out player, mythic gear, stunning transmog, the works. Fussypants: They slow walk out of an inn somewhere (because I mean, they are so rockin’ that they can slow walk everywhere) and stand outside for a second before they start the mount up animation. 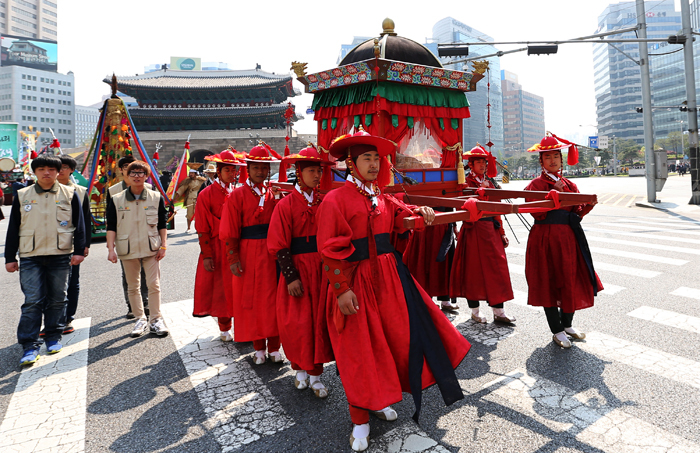 There’s a short cast, a puff of smoke and sparkles, and then suddenly, a PALANQUIN APPEARS! Fussypants: Like these guys here! Fussypants: No, it would be awesome! What better way to show off your talents and achievements than to be literally carried on them?? Yotaan: What, what if they were bosses you beat? You know, carrying the palanquin. Yotaan: How about, instead of the palanquin, its a giant blue whale. It’s so big that it blots out half the screen on full camera zoom out. Awesome! 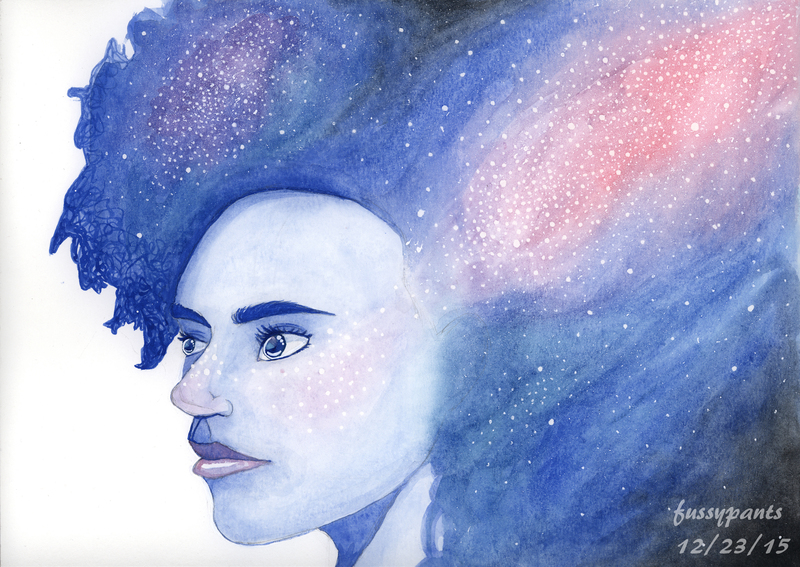 Fussypants: So like the movie Whale Rider? For your whale idea, would it be water only? Yotaan: No, totally is a flying mount. And weirdly, doesn’t work in water. Auto-dismounts you and you lose 3/4’s of your breath too. Yotaan: Would your palanquin mount be ground only? Yotaan: And, of course, it goes very slow, same as walking speed. Again, so you can show off. 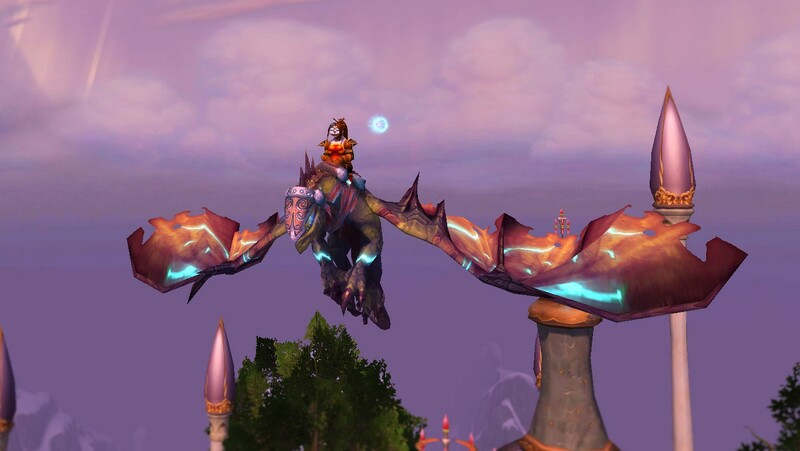 Fussypants: The other mount I’ve always wanted is a pogo stick. It wouldn’t need to be flying because you could just jump over all obstacles. Yotaan: Lol, I think it should be locked behind a long rep grind, like a befriending a warlike troop of angry kangaroos. To rep up, you need to solve jumping puzzles. There we go, mount problem solved. No one would ever want another mount again. Yotaan: Yep, once again we solved all of Wow’s problems! So there you have it! The pogo-stick is the most important mount that we are still missing! What mounts would you all like to see in-game?